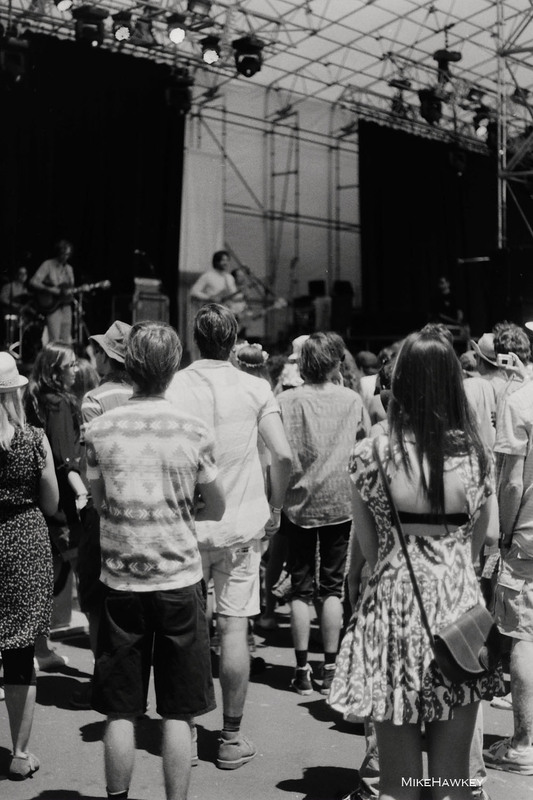 Similar to my image taken a few weeks ago, Down in the Crowd is one of the images shot on Ilford Pan 100 using the Pentax MG SLR. Slightly tweaked in Photoshop CS4, I lightly colorised and resized – all adter developing and scanning. Waitangi Day here in New Zealand tomorrow. If the weather holds, we might head out for a bike somewhere hopefully!